There is a popular conversation about time going around as frequent as there is air to breath. People keep saying that there is not enough time to do all that they have to do. Basically they are exactly right if that is the way that they see it. I have to admit it, I have said it too. However, like everything in life, at some point you realize that you are not being truthful with yourself. I say that to say that we make time for the things that feed us, or celebrate us, or give us the excuse to not be responsible, or even shield us from hurt and/or disappointment. I like to call it "the dance of the non scraped and fancy free." The harsh reality though, is that we are all going to mess up and get scraped or even get knocked down quite a few times in this life no matter who we are. That will never, ever, be any different. 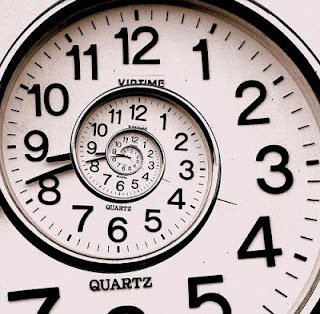 I am completely fixated on the conversation of time for one main reason, every one sees it differently. So the best that you can do on any given day is live your own truth about what time mean to you and how you tailor it to your own rhythm. If you track yourself daily, you will see that many things that you do are not worthy of your time, but you still do them. I believe that the reason for this is of course personal, however it usually falls into one of the reasons that I stated in the chapter above. I know this because we all get the chance to use any one of those excuses at any given moment. It's shockingly peculiar how much we can do the things that don't serve us and then claim that we don't have time. As I look at how I use time, I find that I put it to good use, however, many times paralysis of analysis kicks in. In other words, I think too hard as to how things are going to fit into a particular quadrant of time and I will use up time just thinking about it. There are things that I think about daily, like finishing my original songs and releasing them to the world. I have some finished and I have several on the way, but what halts me? Many times its the actual revealing of some of my most intimate thoughts that will without a doubt expose my soul. Time is not the enemy, it is here for me to do with it what I choose to and that is the truth. There is a saying that if you want something done, give it to a busy person to carry it out. Why is that? Because truly busy people usually take their time extremely seriously from the standpoint of doing what feeds them more than what they are supposed to do. Let me clarify something, what I wrote above may rub you the wrong way. If it does, then does that mean that you found some truth in it or that you yourself are just authentically busy with all that feeds you? We all have things that we have to take care during the course of every day. The question is, how often do we tell ourselves that we deserve to have our way with time? Meaning how often do you tell yourself that there "is time"? There is time for that dance class, for that movie, for that entry into your journal , for that call to a friend just because? This is when the dance of time becomes a full on spiritual ballet that we want to sell tickets to so that all of our closet friends can see it. So ask yourself, are you busy just avoiding not being busy so that you can do what frightens you? I have had to ask myself that on many occasions and it snaps me right back to the center again. So dance with time, better yet, lead time in the amazing pas de deux of life. Your soul wants you to have time and fly higher than your current level. We were created to elevate, not to thread water. Think about it..
Be well and let time know that you will call the shots from now on with your soul as the guide. What are your thoughts? Email me at afiresign@mac.com or send me a comment below.